Mapping requires precision, and attention to detail. Pemulis Map Maker is an advanced mapping solution combining intelligent map analysis, advanced labeling and tabling, custom reporting, map checking, and more. Quickly and easily labels plats, maps, and parcels. Ideal for mapping large scale subdivisions, commercial centers, and high-rises. 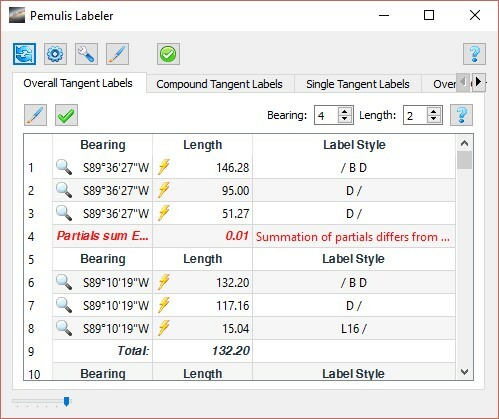 Intelligent labels and tables, customizable styles, and simple to use. Generates custom reports: legal descriptions, map checks, lot closures, and more. Analyzes parcel geometry to find errors. Supports imperial and metric equally well. 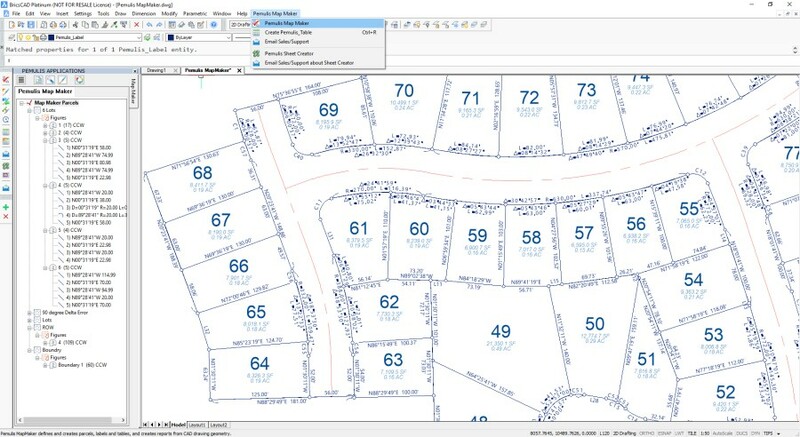 Civil engineers, land surveyors, mappers, and designers create parcels for subdivisions, commercial developments, high-rises, and developments of all sizes, which eventually become plats and maps. Labeling and tabling can be time consuming, tedious, and prone to errors and omissions. 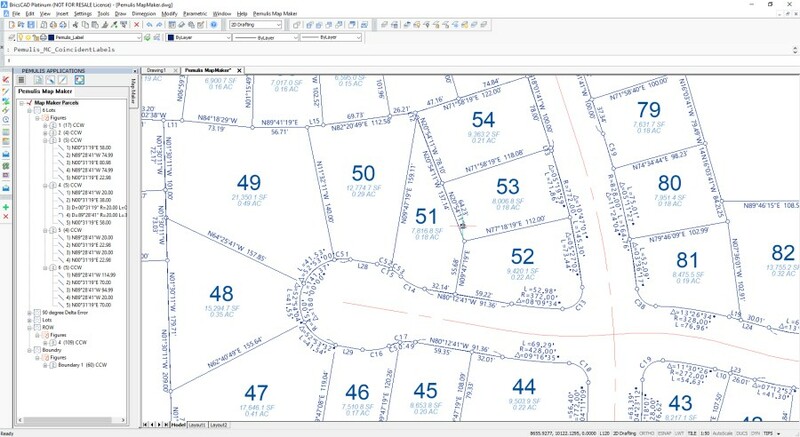 Pemulis Map Maker takes the tedium out of the process, simplifies the process, identifies potential errors, and significantly reduces the time it takes to create plats and maps, so you can get your map approved quicker. Pemulis Map Maker has a built-in custom report generator for creating any kind of report based on parcel data, including legal descriptions, lot closures, parcel area summaries, and much more. Take a few minutes to view the videos, and then call to get a demonstration, and see for yourself how platting and mapping can be made simple. 30-day free trial period.